For those with medically intractable epilepsy, the recurrent seizures lead to increased mortality and risks of injury. Fortunately for many people with intractable epilepsy, epilepsy can be cured or seizures better controlled with surgical treatment. The plastic surgery field is broad and varied and this book covers the many areas of involvement and training of today's plastic surgeons. It is not designed to be a comprehensive text, but rather an outline that can be read in the limited time. 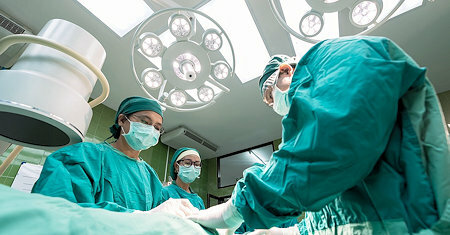 Endocrine surgery -- the subspecialty of general surgery involving diseases of the thyroid, parathyroid, and adrenal glands as well as the endocrine pancreas -- is a rapidly growing field of medicine that has a rich and fascinating history. It is shown how the specialty has evolved over the past 20 years, with advances in diagnosis and palliative techniques for correction of cardiovascular diseases. The book contains 10 chapters on classical adult and pediatric cardiac surgery. Preparation of this document followed the steps recommended by WHO. The guidelines were pilot tested in each of the six WHO regions to obtain local information on the resources required to comply with the recommendations. This volume is intended to serve as a guide to the diagnosis and to the treatment of the diseases and conditions of the body in general, in their relation to the foot, as well as to those conditions which primarily affect this member. The chapters in this book are written by surgeons, radiologists, anesthesiologists and oncologists from different hospitals. Together with basic surgical principles, the unique local experiences and perspectives are presented. This book provides an overview of conventional open vascular surgery, endovascular surgery and pre- and post-operative management of patients. The contributions of scientists from around the world present important topics of the current research. This volume collects up-to-date contributions on some of the most debated topics in today's clinical practice of cardiac, aortic, and general thoracic surgery, and anesthesia as viewed by authors personally involved in their evolution. The aortic valve is located at the center of the heart. This book describes all aspects of aortic valve surgery and clarifies daily questions regarding the clinical practice in aortic valve surgery and gives new insights into this field. This book provides surgeons interested in minimally invasive abdominal surgery with the most recent techniques in laparoscopic surgery. The text includes different topics covering a big variety of medical conditions with up-to-date information. This is an essential resource for those in Africa where there has been a lack of appropriate and affordable medical material. This is a book written by doctors who live or work in Africa and for African surgeons and patients alike. The book is prepared for the members of a resident staff: for the interne's guidance when acting independently, to assist the ambulance surgeon in emergencies, to simplify practical work for the junior, to aid the senior in some of his predicaments. This is a 'rough guide' for junior staff through to middle management on how to be successful at work and maximize your career trajectory. The book avoids theory and provides simple, easy to follow steps that allow one to improve one's performance. Applied anatomy serves to give a precise basis to those incidents and procedures in practice that more especially involve anatomical knowledge. It endues the dull items of that knowledge with meaning by the aid of illustrations drawn from experience. This volume combines, in a practical manner, the subjects of surgical anatomy and operative surgery, because a knowledge of the one is essential to the proper study of the other. Drawings have been used largely for the purpose of illustration. Robotic surgery is yet in the early stages even though robotic assisted surgery is increasing continuously. This free book should play an essential role in giving some solutions to the chaos and confusion of robotic surgery. The author of this book teaches the basic elements of pharmacokinetics of anesthetic drugs in the form of conversations between a curmudgeonly older anesthesiologist and an anesthesia resident as they administer anesthesia. Aimed at men with concerns about prostate surgery, this guide includes chapters on preparing for the surgery, the surgery itself, recovery in hospital and at home, a list of recommended resources, and special sections to record personal notes. The book presents to the student of medicine and the practitioner removed from the schools, a series of dissections demonstrative of the relative anatomy of the principal regions of the human body. Illustrated with sixty-eight coloured plates. This text supplements standard textbooks of surgery. It includes most aspects of general surgery in the US and other countries. It is compact and sufficiently portable to be used by busy medical students, residents, and surgical practitioners. Written by famed royal surgeons, published in 1921, now outdated, this book is of great historical significance. It is popular for its grotesque photos, explicit images of disease and injury, and descriptions of a wide range of medical conditions.